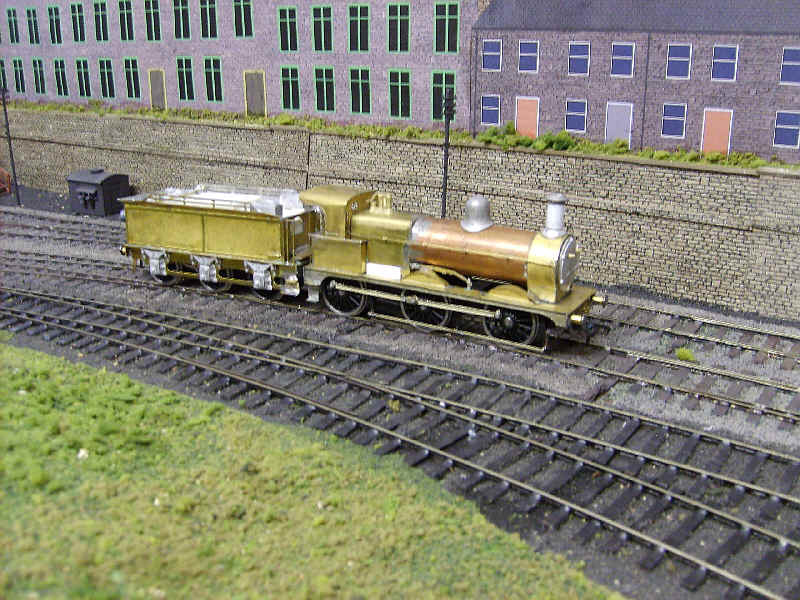 Progress on my S Scale project has been slow during 2011, partly because I've not decided how to expand my "empire", the layout having expanded as far a sit can without making access to my Hellifield layout in the loft impossible. It's also because becoming editor of TRACTION magazine has led to me spending more time on railway related matters and also because the problems with nerve damage to my right hand make model making not quite as enjoyable as in the past. However, I've managed to complete another locomotive, the rebuilt 1142 class fitted with a Belpaire boiler and the modified cab. This version is the low cab version and incorporates a few etchings from the old Alan Gibson range. Basically, these are the nickel silver locomotive frames, the smokebox wrapper, running plate, splashers and cab etchings plus a standard Johnson tender. The boiler is a piece of copper central heating pipe and the firebox was folded up from brass sheet. The distinctive outside brake rods makes chassis construction a little more interesting being fitted right at the end of construction. The white area on the firebox is a piece of plasticard shaped to represent the widening of the firebox in this area. As usual the locomotive is powered by another Airfix tender drive unit. I do have etchings that would allow construction of the high cab version of the 1142 rebuilds; although these locomotives look distinctly top heavy and ugly to me, I may have still build one in due course.